Brand New Genuine Tecumseh Carburetor… · Genuine Tecumseh Part # 632424 · Fits Specific Tecumseh Engine Models That Require This Part # (Not ALL) Make sure to order for your Model, Type and Serial Numbers · Genuine OEM Tecumseh Part. Anybody can rebuild a Tecumseh engine themselves. Piston andrings (complete set.). 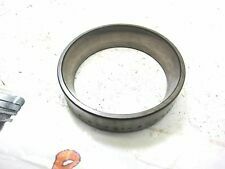 Complete Gasket Set. Your browser does not support. To view this page, enable if it is disabled or upgrade your browser. Tecumseh 33237B. Fits Model HH100 (10HP) & HH120 (12HP) found in many Bolens and Sears Garden Tractors. 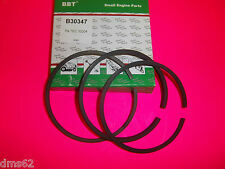 New Genuine Tecumseh Engine Gasket set (DOES NOT INCLUDE SEALS). HH100 VH100 HH140 OH140 ENGINES. REPLACES 32004. WALBRO AUTOPULSE 3000 SERIES PUMP THAT YOU SEE IN THE LAST PICTURE. A THICK PIT LINER DIAPHRAGM. GETTING IN AND RUINING THE DIAPHRAGM DURING STORAGE. OBSOLETE AUTO PULSE FUEL PUMP THAT YOU SEE IN. WEAK THIN DIAPHRAGM THAT IS ALSO NOT REBUILDABLE. TECUMSEH：32510, 32817, 33835. 1973-1977 1816 Tecumseh OH160 Tecumseh System. 1977-1981 1816B Tecumseh OH160 Tecumseh System. 1975-1976 Farm MF-10 Tecumseh HH-100 Tecumseh System. 1975-1976 Farm MF-12 Tecumseh HH-100 Tecumseh System. REPLACES 33093A. PART # 30920. Tecumseh 27105. New Genuine Tecumseh Float. Need the float setting tool?. JOHN DEERE 112 TRACTOR WITH TECUMSEH HH100 ENGINE. SMALLER CARBURETOR REPAIR KIT WHICH CONSIST OF A 14 PIECE SET. SHOW YOU WHAT KIND OF CARBURETOR USES THIS KIT. OURS IS THE 21 PIECE MASTER SET THAT YOU SEE HERE. REPLACES 34508 33093A. HH100 VH100 HH140 OH140 ENGINES. SMALLER CARBURETOR REPAIR KIT WHICH CONSIST OF A14 PIECE SET. THIS MASTER KIT IS MADE TO INDIVIDUALLY REPAIR THE. OURS IS THE 21 PIECE MASTER SET THAT YOU SEE HERE. IF YOU NEED ANYTHING OR. POWER VALVE OR THE DRAIN BOWL PARTS LIKE OURS DO. Tecumseh 631304B / SS part # 632424 Carburetor (1 ONE). Up for Sale is a New GENUINE USA MADE Tecumseh Carburetor. Dont Settle for Cheap poorly constructed china carbs buy Genuine Tecumseh Parts! Model;HH100 - TB100. Use the two exposed ends of tape to maneuver the decal into the correct position before applying pressure to start the permanent decal installation. Once the decal is in place, gently remove the tape. 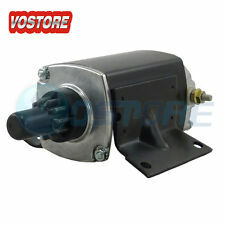 ORIGINAL WALBRO AUTOPULSE FUEL PUMP KIT. THE SECOND PICTURE IS ONLY TO SHOW YOU THE KIND OF PUMP THAT TAKES THIS KIT. AGAIN THIS SALE IS NOT FOR THE PUMP IN THE SECOND PICTURE. New Listing1966-1971 John Deere 112 10HP Carburetor NEW GENUINE Tecumseh HH100 USA MADE! Up for Sale is a New GENUINE USA MADE Tecumseh Carburetor & Fuel line found on HH100 Tecumseh engines. -Tecumseh 631304B Carburetor (1). Dont Settle for Cheap poorly constructed china carbs buy Genuine Tecumseh Parts! HH100, HHM80, HM70-HM100, HMSK, OHM120, OHSK120, OHV125, OVM120, OXVL120, TVM170, TVM195, TVM220, TVXL195, TVXL220 and VH100. You will receive a Genuine OEMTecumseh Part 632347. Tecumseh Carburetor Repair Kit 632347. Tecumseh 32001A. Tecumseh Piston Kit in Standard Size for Tecumseh HH80, HH1800, HH140, OH140 Cast Iron Engines. Tecumseh 34508. 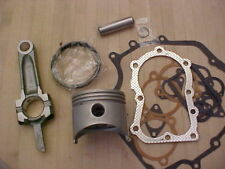 Piston Kit Includes Piston Rings. Why Buy From iSaveTractors?. Tecumseh 32000B. Fits Model HH100 (10HP) found in many Bolens and Sears Garden Tractors. 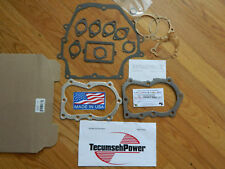 Up for Sale is a New Genuine Tecumseh Cylinder Head Gasket. May receive Oregon 49-230 when out of Tecumseh. identical kits. Tecumseh HH100 piston, connecting rod and pin. Good compression test . Condition is Used. Shipped with USPS Priority Mail Medium Flat Rate Box. Tecumseh engine 31940 intake valve - nos oem - fits most HH100 engines - All of these 31940 valves have an approximate overall length of 4 1/8" and have never been ground -. As you can see in the pic, two small pieces of the flywheel fins are broken off. Above parts were removed from a John Deere 112 Type T0651 Ser# 185379M Tecumseh HH100 block replaced by a short block # SBH-172A Ser# 5069E. Used Tecumseh HH100 (10HP) Engine Block, Removed From Parts Engine, Cleaned, Excellent Shape, Bore Mic'd At 3.30" Check out all My pictures. Not knowing the part you needed. LOCAL PICKUP AT OUR LOCATION (Ashland,Ohio) Permitted. Used Tecumseh HH100 Crankshaft Forsale, Removed in working order, May need machine work before use. Check out all My pictures. HH100 VH100 HH140 OH140 ENGINES. SIZE 3 5/16" BORE. Used Tecumseh HH100 Flywheel Forsale, Removed in working order, Cleaned and ready to use. Check out all My pictures. Part is in good shape and condition, is fully functional. Electrical tape removed for inspection then re-applied to seal and strengthen minor cracking on the wiring. There was also a shallow void in the resin that the back side of these coils are filled with, this was filled and re-surfaced with high temp black silicone. Used Tecumseh HH100 (10HP) Engine Block Forsale, Been Cleaned and ready to use. 3 1/4in Bore Dia. Check out all My pictures. Bin # Blocks #18. Parts came from closed dealer, Parts have been sitting on shelf & package may be dusty or dirty. You get what is pictured. Be sure to check with your local dealer to be sure it fits yours. In the next few months I will be listing a huge amount of NEW parts from a LARGE closed dealership. Please watch my auctions !!! FREE shipping !!! Disclaimer: I am not a dealer. I am selling these parts acquired thru a liquidation auction. I will gladly accept returns. If you ordered the wrong part you will have to pay shipping both ways. If I listed something wrong I will pay shipping both ways. Thanks for looking & good luck ! MF12 TRACTORS WITH THE TECUMSEH HH100 & HH120 ENGINES ON IT BUT. TECUMSEH HH80, HH100 AND HH120 ENGINES. Technically tho this is the 610761 and 610747 by Tecumseh. you have on your Tecumseh cast iron engine. REPLACES 34508. HH100 VH100 HH140 OH140 ENGINES. Part is in good shape and condition, tested and it is fully functional. Tecumseh 10HP John Deere 110 HH100 engine. PARTS WERE REMOVED FROM . Tecumseh 143.619012 HH100 10HP Governor Linkage Good Shape Free Shipping. Comes as seen in photos, shows some wear but is in good used condition. Used Tecumseh HH100 (10HP) Engine Block. Removed From Engine Mounted on a Case Colt Garden Tractor. Good Shape, Bore Mic'd Around 84MM. Looks Good. Check out all My pictures. Parts Removed From Tractor Shown In Last Photo (Complete Tractor NOT For Sale). Above parts were removed from a John Deere 112 Type T0651 Ser# 185379M Tecumseh HH100 block replaced by a short block # SBH-172A Ser# 5069E. HH100, HHM80, HM70-HM100, HMSK, OHM120, OHSK120, OHV125, OVM120, OXVL120, TVM170, TVM195, TVM220, TVXL195, TVXL220 and VH100. GET IT FAST!